I Just got back from one of the best BCCA CANvention’s ever. Many thanks to “BEER DAVE” and all of the committee members for the work that goes into this huge brewery collectibles show. 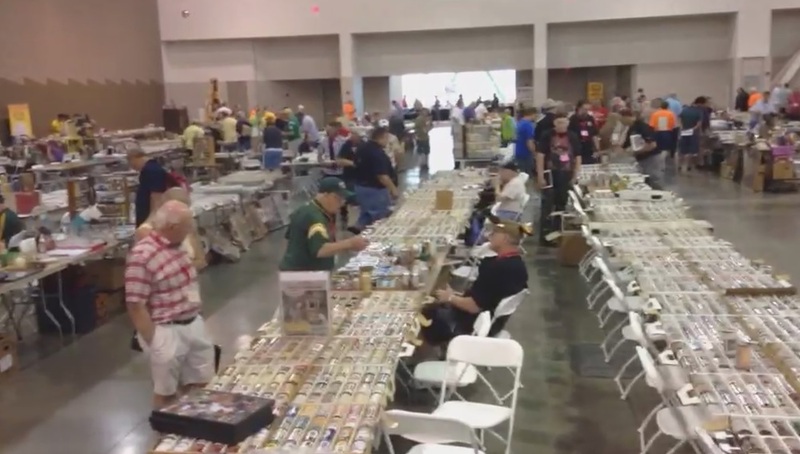 With 700 trade tables and 800+ BCCA members in attendance, it was hard to see everything. The venue was perfect…though it looked odd seeing hundreds of collectors wearing beer t- shirts and hats roaming the very formal, historic grand old Hilton. I left Milwaukee with several new breweriania pieces for the collection, a lot of new friends, and the feeling that the hobby is as strong as ever. If you have any photos you would like to post, please send them to me. Check back often as I will be adding more photos. Follow the links below to view photos and videos.